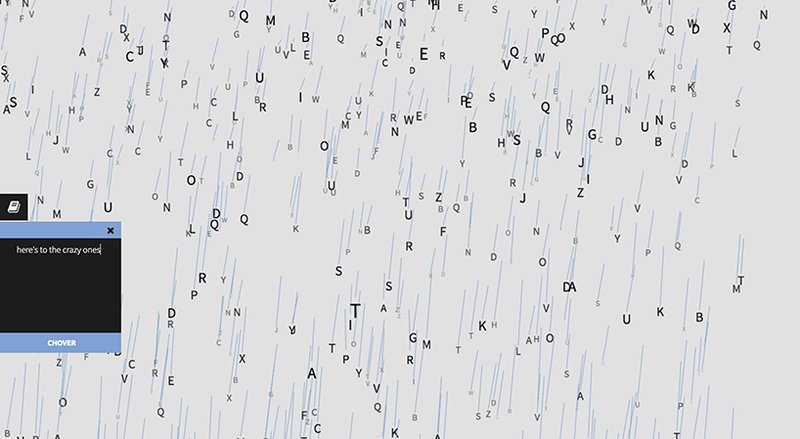 gogoame – meaning afternoon rain in japanese – is a web art experiment developed by pedro veneroso, consisting of a rain of text that implements a physics engine to simulate acceleration, gravity and wind. 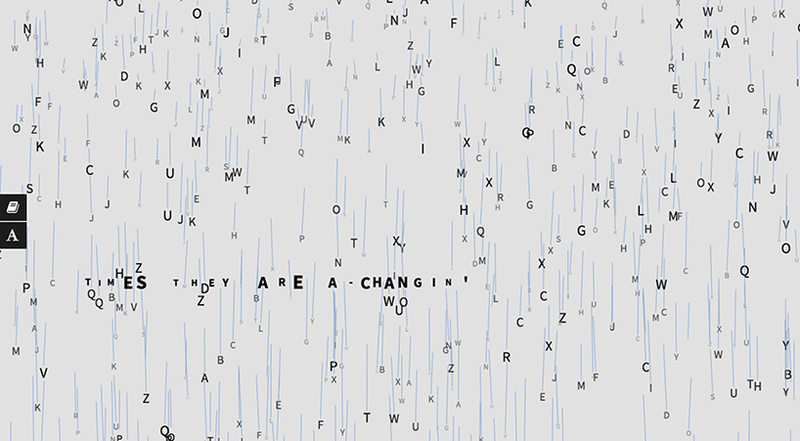 the project continues the tradition of literary experimentation seen in concrete and visual poetry, inviting the website’s visitor to form words and phrases by combining raining letters and characters. 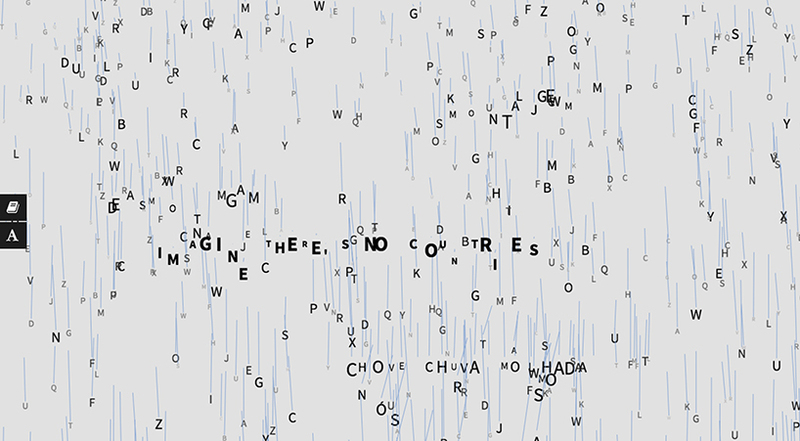 veneroso has associated physical forces and environmental factors to text composition, putting forward an alternative to linear texts. 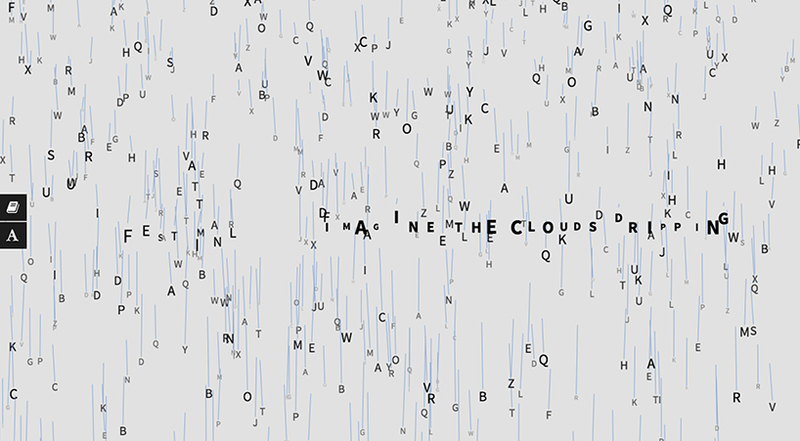 in gogoame, letters and characters rain, and, among the rain, words and phrases are formed. 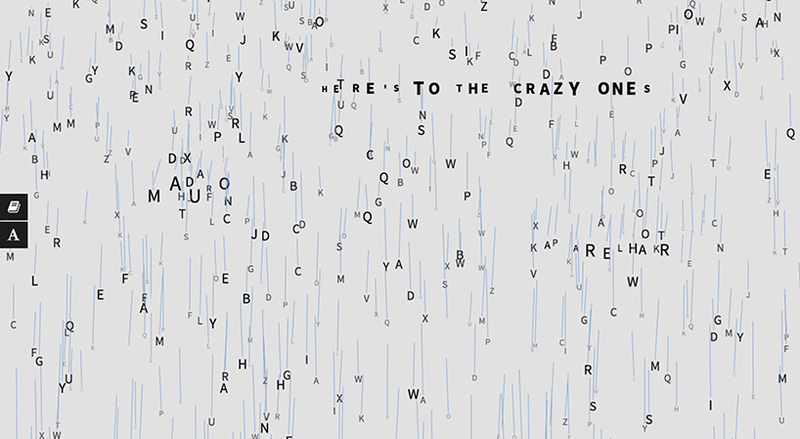 the website’s visitor frequently finds words that are briefly formed while the letters are falling, which are recovered from a database that is composed of texts written by other visitors. words and characters are used to represent a physical phenomenon in order to provide an experimental approach to text production and reception. the work can be exhibited in two distinct ways: using a conventional computer equipped with a mouse and a keyboard, or, set up as an installation in which gogoame is projected inside a room, providing a more immersive experience than in the first option.